To celebrate that registrations are open in the lead up to the festive season, AFL NSW/ACT have created an advent-calendar of giveaways to reward our junior and NAB AFL Auskick club participants. From Saturday, December 1, 2018 there will be a number of prizes to win including a Nintendo Switch, Sherrin Footballs, brand new footy boots thanks to Rebel Sport, a Sydney Swans signed footy, a GIANTS signed guernsey and many more! Simply register as a 2019 AFL junior club participant in New South Wales or the ACT and you will go in the running to WIN! Follow AFL NSW/ACT or NAB AFL AUSKICK – NSW/ACT on Facebook and AFL NSW/ACT on Instagram to see what daily prize is being offered! 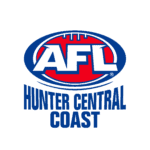 MAJOR PRIZE – one lucky major prize winner will receive the ultimate 2019 Toyota AFL Grand Final experience including two (2) tickets to the match, two (2) return airfares and two (2) nights accommodation. Simply sign up to play AFL with your local club during the 12 Days Christmas promotion. Prize will be drawn on December 13. Register with your local AFL NSW/ACT junior club or NAB AFL Auckick Club on one of the above days to go into the draw to win that prize for the day! 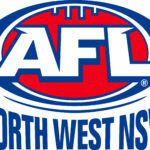 To find your local club and register visit: play.afl/club-finder. 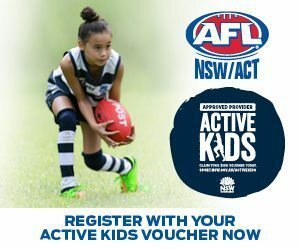 For those that got in early, if you are already registered as an AFL NSW/ACT junior club or NAB AFL Auskick Club participant in the 2019 season, you are automatically included in the draw and new members who renew on the day are included in that day, and every day after that.